Sleep is important for your health!! Don’t let the time change get you down! 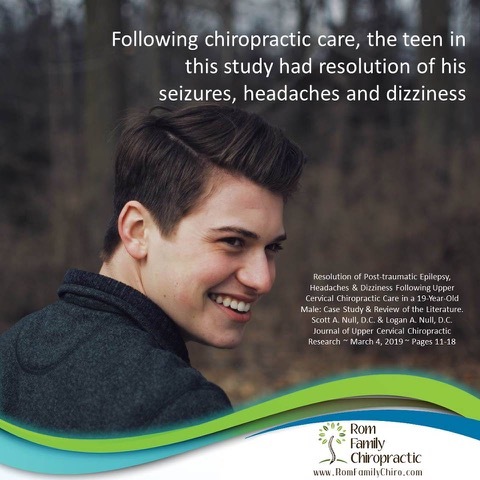 A 19-year-old male diagnosed with post-traumatic epilepsy following a traumatic brain injury six months prior presents to a chiropractor’s office with signs of vertebral subluxation as well as episodes of headaches and dizziness.The frequency of seizures began declining with the initiation of chiropractic adjustments and then completely resolved. His headaches and dizziness also improved. He remained seizure free in a 10 year follow-up. Have you had a concussion or whiplash? You should get checked by a chiropractor! KIDS GET CHIROPRACTIC!! 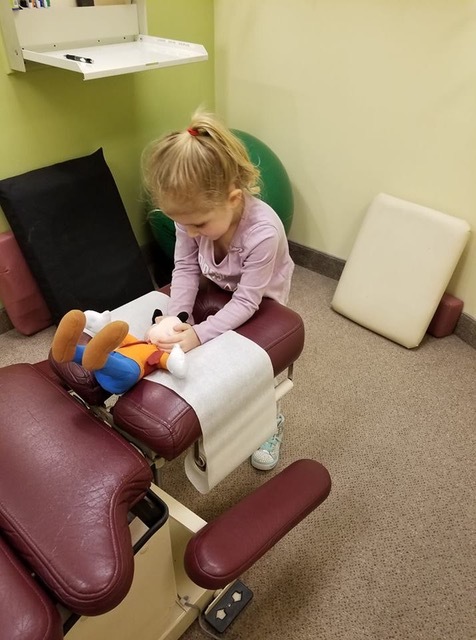 This chiro kid (who is part of a well adjusted chiro family) wanted to adjust her stuffed animal today, and she is a natural! !Chiropractic care for children offers your family a solid foundation for wellness! Starting during pregnancy and continuing through childhood, the chiropractic lifestyle offers choices & benefits for your greater health & wellbeing! That fairy tale you tell your kids at bedtime might be more of a classic than you think!! A new patient in the office this week reported that he got the best sleep he had in years after his first adjustment. This is not unusual after an adjustment! Good health starts well before birth!! There’s nothing more important than the baby-mom connection!! March is Kids’ Month at Rom Family Chiropractic–so be sure to tune in to our Facebook page for all the latest info!